Light It Up, the new record from artist Collie Buddz, is momentous, gigantic and booming! It’s immediately undeniable an awe-struck song complete with an unforgettable sing-along hook, the kind of beats that pound in the chest and a vocal performance that’s as uncommon as it is infectious. “Salaam knows music. It feels good. I want to reach a certain level with my career and go places I haven’t gone yet. Being with Sony Music definitely helps with that,” Buddz says with some anticipation. Light It Up, is a new anthem spreading across every college campus and radio stations, but the artist that created the tune has a name that may sound familiar to some music fans. Buddz exploded onto the scene a few years ago when critics and tastemakers alike embraced him – Spin Magazine proclaiming, “Buddz proves the pop rule: Catchiness transcends color.” From Vibe Magazine to Entertainment Weekly, Collie Buddz made quite an impression with music critics. Indeed growing up on the island of Bermuda, Reggae music was a formidable influence on a young Collie Buddz. Born Colin Harper in New Orleans, LA to a mother of Bermudian heritage with roots on the island dating back to the 1700s, his father passed away while Collie Buddz was at the tender age of four. At that time, his mother moved the family back home to Bermuda. It wasn’t long before Buddz discovered more than his Bermudian heritage. Introduced to Reggae music by his older brother, Matthew, affectionately just known as “Smokey,” by the tenderfoot age of 12, Colin Harper quickly learned his way around a music studio. It soon became apparent to everyone within earshot of the boy that his voice was unique in a way that lingers long after you’ve heard him. “Back then, I just used to plug headphones into the microphone jack of a tape deck. I’d sing into one of the earpieces and record it on cassette,” Buddz recalls. As a producer, Buddz was the most comfortable in the studio. But he couldn’t find any artists that could really pull off the sound he desired so Buddz far too often found himself just running back and forth from the vocal booth to the mixing booth as he layered his own vocals for his production work. After a while, it just became easier for him to just do it all by himself. At this juncture, Colin Harper became Collie Buddz. With his independent spirit guiding his journey, Buddz has traveled as far possible from his little corner of the earth. He’s constantly creating new music and experimenting with it in front of live audiences almost immediately. With support from his team at Mojiza Management and touring and merchandising backing at Ineffable Music, Collie Buddz has toured the world. He’s honed his craft while in support of several tours with artists such as Cypress Hill, Rebelution and Matisyahu. He’s performed in front of thousands at the largest music festivals such as Lollapalooza, Boomtown, Summer Jam and the California Roots Festival. 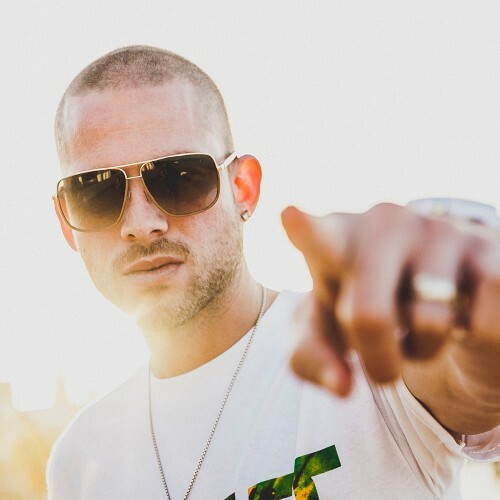 While touring, Buddz still found time to record new material and release original music independently on his own record label, Harper Digital. He’s even managed to launch a new radio station back home in Bermuda (Vibe 103) and become a father. Armed with a tremendous record, it doesn’t appear that Collie Buddz will soon be finding time to rest.